After the release of his single “Masoyina”, Myke E. breeds a groove hit in his dialect (Bajju) titled: “Nchat”(I love). “Nchat” is a song that expresses his love for God and singles God out of many idols out there to be his lover and featuring one of Kaduna’s finest, Mike Kantiyok (Kaniyangka). This is the generation arising with hearts, which are bored to dispatch the streams of the throne. “We love because he first loved us” (1Jn 4:19). Former Alyhills Records artiste, songwriter, and producer, Tolulope Abraham Adesina who recently stopped singing secular songs have just opened up on how the journey back to Christ began. According to the House On The Rock chorister, several people have met him since he succeeded at the MTN Project Fame to continue doing gospel, but he never heeded. As God will have it, veteran singer and producer, Cobhams Asuquo met with him and reminded him that he never fit in in the secular world unless he returns to doing gospel, he may not blow. These words got him restless until December 31st, 2017, the day he took that difficult decision and he became saved by grace. However, he promised to reveal more subsequently. The General Overseer of the Living Faith Church, Bishop David Oyedepo had mentioned in a statement that he considers it an insult that people say he is worth just a paltry $150million. In a video released by the Winners Chapel London has said in a message “The secrets of prosperity”, the man of God stated that he is worth much more than that. In fact, $150million is just a small amount of money. Bishop David Oyedepo, in his statement, while quoting the bible from the book of Philippians 4:19, “But my God shall supply all your need according to his riches in glory by Christ Jesus.” says it is a total insult for some people to have rated him so low. Coming in as a supposed host of the Holy Ghost with the most, Bishop David Oyedepo heads the single largest church in the world, Winners’ Chapel, which seats 50,000. As one of the main founders of the Nigerian Christian Charismatic movement, he also exerts control over churches in 45 African nations, as well as several in Dubai, the United Kingdom, and the United States. Having been mentored by Adeboye, it is quite clear he took the formula of church expansion up a notch. Alongside churches, there has also been active outreach within his native continent where his ministry has aided in the development of hospitals, schools, and maternity homes. As to be expected with such successes, two of his sons are following in his footsteps by heading up both the London and South African Winners’ Chapel divisions. Wearable technology has made great strides in the last few years – just like their owners. Be it running, walking, or swimming, smartwatches make great fitness companions, and could even replace your personal trainer (though won’t be as attractive, of course). 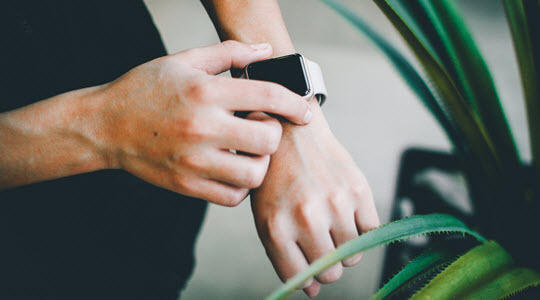 So if you’re after visual goals to keep you motivated, or just want to record your progress towards a stronger, fitter you, a smartwatch makes it easy. There are plenty to choose from, so to help you pick the best of the bunch, we’ve put together a list of our favorites. So read on and prepare to blitz those new year fitness goals. Since its launch in 2015, the Apple Watch has excited fans with its sleek design and intuitive interface. 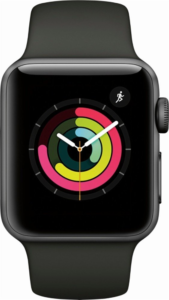 Apple Watch’s latest iteration, the Series 3, now includes an altimeter as well as GPS to track your hikes and trail runs. Being waterproof to 50M, you can dive, surf, or swim without worrying about breaking your watch, and the heart-rate monitor tells you when to crank things up a notch. There’s also optional LTE connectivity, so you can answer calls and texts without taking your phone with you. The intelligent tracker monitors all your activity – from biking to squats – and encourages you to complete your daily goals. And while the Series 3 isn’t cheap, starting at $399 for the LTE version, if you’ve got the spare cash it’s worth splashing out. 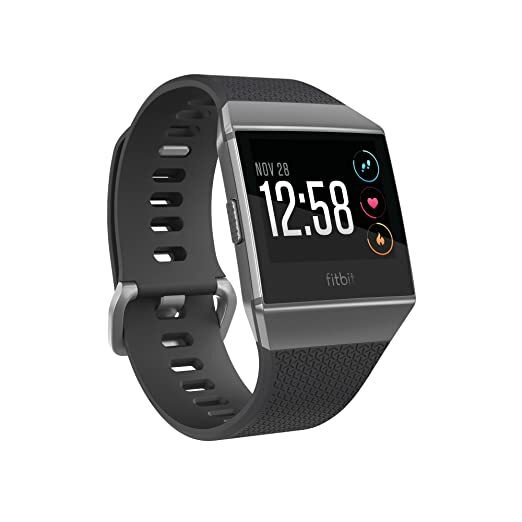 In 2008, Fitbit began measuring fitness activity with clip-on trackers. They then developed wristbands, and now, smartwatches. The Fitbit Ionic is their latest creation – a GPS-enabled smartwatch with a fully-integrated fitness coach. The Ionic’s SmartTrack detects the type of activity you’re doing and adjusts settings automatically, meaning you can spend more time training and less time fiddling. It’s waterproof to 50M (like the Apple Watch) and includes a heart-rate monitor and onboard storage for your favorite songs. There’s no LTE support, which could be a good thing if you want to stay focused, and also makes the Ionic cheaper than the Apple Watch at just $269.95. Garmin is well-known for its GPS navigational gear, and now they’re shaking up the wearable tech market. 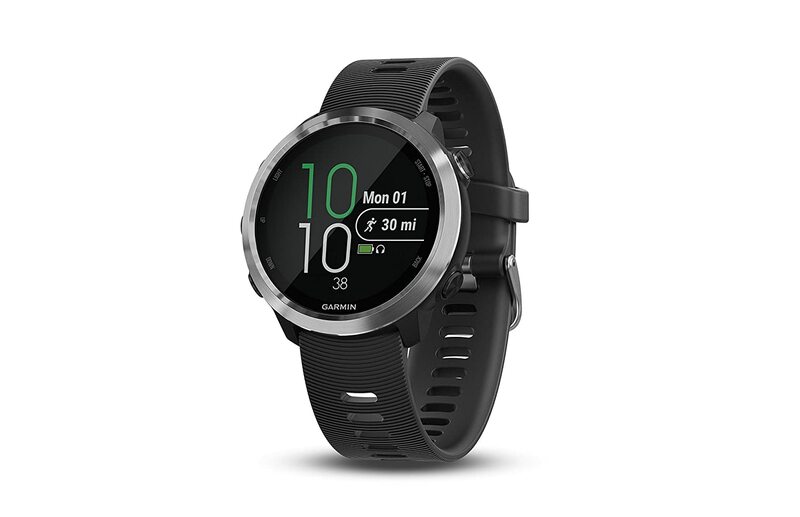 Designed with runners in mind, the Forerunner series measures a range of useful data, including balance, cadence, stride length, ground contact time, and more – helping improve your technique and time. As well as a heart rate monitor, third-party apps for taxis, weather, and other info, the Forerunner 645 Music stores up to 500 songs – enough for a marathon. At $449.95 the Forerunner is the most expensive smartwatch on this list, but as a comprehensive wearable assistant for the professional athlete, it’s tough to beat. 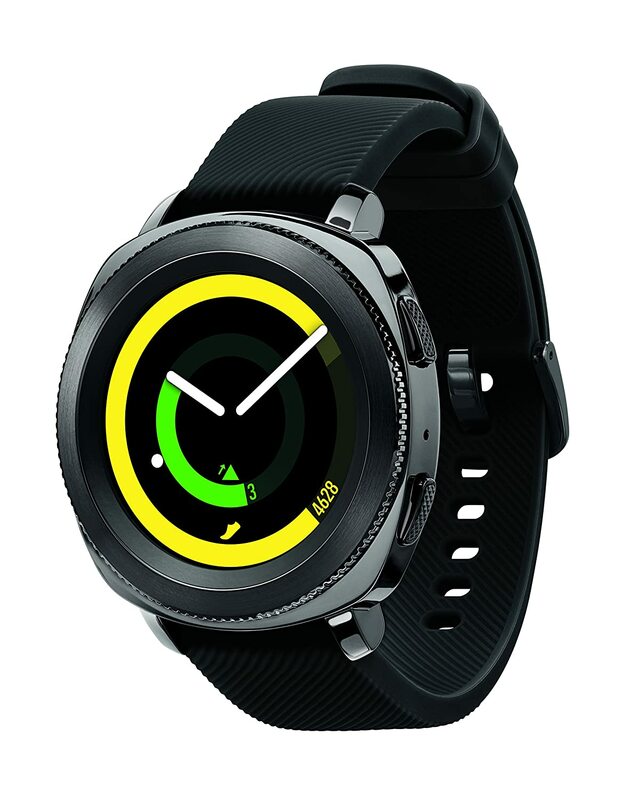 Samsung has delivered a range of quality smartwatches, and the Gear Sport is designed for the active, health-conscious user. It’s equipped with a heart-rate monitor, GPS, Samsung Pay (for grabbing those energy drinks before the race), and personal coaching while you work out. 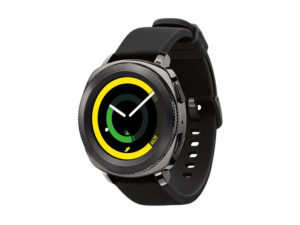 The circular design gives the Gear Sport a more traditional look, and the Super AMOLED display means vibrant colors and deep blacks. The 4GB storage lets you soundtrack your run with offline Spotify playlists – handy if you don’t have your phone with you. At $249.99 it’s the cheapest smartwatch, so a great buy if you’re on a budget. Any of these smartwatches would make a great virtual fitness coach. As they share a lot of features, choosing between them will come down to style, budget, and whether you want to take your phone with you while you train. The world knows that 2,000 years ago a man named Jesus came from the town of Nazareth in what is now called Israel. He traveled about the region and gained a large following. After a few years, the religious leaders in Jerusalem falsely accused him of crimes and handed him over to the Roman authorities. 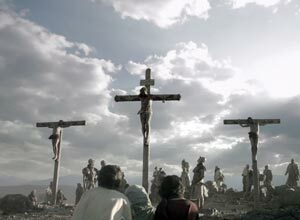 They executed him by nailing him to a cross. A short time later, his followers preached in the name of Jesus Christ, whom they said rose from the dead. More and more followers were added to this movement which has become the Christian church of today. John wrote about Him: In the beginning was the Word [poetic description of Jesus], and the Word was with God and the Word was God (John 1:1 ESV). He created the world and all that is in it (John 1:3). The religious leaders of his time understood that Jesus claimed to be God (John 5:17-18). Paul wrote that when Jesus died, the Father revealed to the entire world that He was God (Philippians 2:5-11). 2. JESUS IS THE SON OF GOD. 3. JESUS BECAME HUMAN THROUGH THE VIRGIN BIRTH. The eternal Son of God already existed in heaven (John 17:5). Through the power of the Holy Spirit (Matthew 1:20), He was born as a human being, who was then named Jesus (Matthew 1:25). To demonstrate that Jesus was not a mere man (Colossians 2:9), God chose a virgin to give birth to Him (Luke 1:34-35). 4. JESUS CHRIST IS THE SAVIOR OF THE WORLD. Anytime we disobey God is called sin. The penalty for sin is death, but God in his love wants us to live. Therefore, he sent the promised Messiah (also called Christ) to save the world (John 1:41). The Son of God, Jesus Christ, came to earth to die in our place. Because He lived a life without sin, only He was qualified to pay for our sins by His death on a cross. He then demonstrated His power over death when He rose from the grave three days later. Only through Jesus can our sins can be forgiven and we can come to God (Acts 4:12). Jesus Christ is the Savior of everyone in the world (John 3:16). All through his time on earth, Jesus performed miracles. 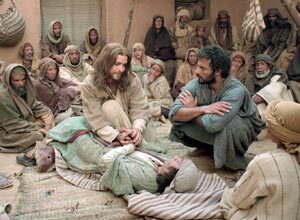 He healed the sick (Matthew 8:16 among many other instances), controlled the weather (Mark 4:39), multiplied food (Matthew 14:14-21), and provided money when needed (Matthew 17:24-27). 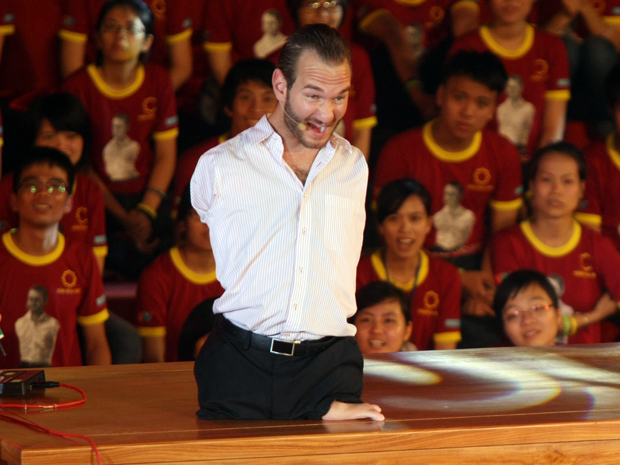 Even after leaving the earth, He still does miracles in people’s lives (Acts 3:12-16). People who followed Jesus turned away from their sins. He cast seven demons out of Mary Magdalene (Luke 8:2) and she became a devoted follower who told others that Jesus had risen from the dead (John 20:16). Zaccheus, a tax collector, repaid people whom he cheated when collecting taxes and gave half of everything else to the poor (Luke 19:1-10). When followers were filled with the power of the Holy Spirit, they were able to declare the message of Jesus, perform miracles, and live free from sin (Luke 10:1-20). For nearly 2,000 years, Jesus Christ has been changing the lives of people all over the world. Therefore, if anyone is in Christ, he is a new creation. The old has passed away; behold, the new has come (2 Corinthians 5:17 ESV). He can change your life as well. Jesus will deliver you from sin’s addiction (Romans 6:22), renew your mind (Romans 12:2), and heal your hurts (2 Thessalonians 2:16-17). 7. JESUS LIVES IN HEAVEN AT FATHER GOD’S RIGHT HAND. After Jesus rose from the dead, He ascended to heaven to the place where he was before becoming human. From there he is able to hear our prayers (Romans 8:34). 8. JESUS WILL RETURN TO JUDGE ALL HUMANITY. While he was still on this earth, Jesus said, Then will appear in heaven the sign of the Son of Man [a title Jesus used for Himself], and then all the tribes of the earth will mourn, and they will see the Son of Man coming on the clouds of heaven with power and great glory (Matthew 24:30 ESV). When Jesus returns, He will separate those who will live with Him forever in heaven from those who will be punished (Matthew 25:31-33). 9. JESUS CHRIST WILL RECEIVE YOU IF YOU COME TO HIM. Jesus said, Whoever comes to me I will never cast out (John 6:37 ESV). This was why He came to earth—to seek and to save the lost (Luke 19:10 ESV). It does not matter what you have done, Jesus still wants you to come to Him. He said, I have not come to call the righteous but sinners to repentance (Luke 5:32 ESV). PRAY WITH ME NOW TO MAKE JESUS CHRIST YOUR SAVIOR AND YOUR FRIEND. 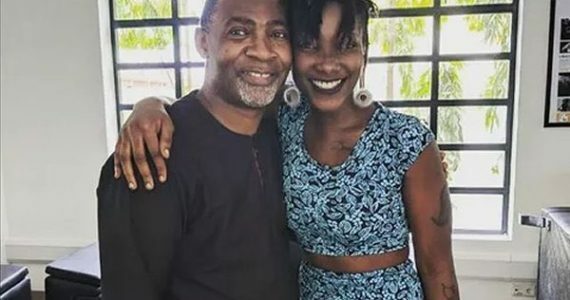 Following the death of Ghanaian Dancehall singer Ebony Reigns, renowned International Evangelist, Dr Lawrence Tetteh has expressed sadness while speaking on his encounter with the singer few days before the accident. Speaking on the incident on Hot 93.9FM’s ‘Maakye’ show with Kwabena Owusu. Dr. Lawrence Tetteh who expressed shock said he preached to her about Jesus Christ when she came to see him. “Ebony not long ago came to see me to pray for her, and I prayed for her and spoke to her about Jesus Christ. She wanted to travel to Europe to Hungary, she even asked permission from the embassy if she can have audience with me and I gave her audience. I witnessed to her and prayed with her. Its very sad that after that not long encounter she passed the way she passed.” He said. The man of God who described Ebony as a vibrant young woman said she showed him so much respect and promised to come to church. “She showed me a lot of respect and she was happy with the extension of that warmness I gave to her, it helped her and that’s why she put it on Instagram. She wanted to come to church so it was something everybody was happy that she opened up like that. She said I talked to her like a father so she referred to me as Daddy and of course she was about the age of my children so it was heartwarming that she received Christ. Sympathizing with Family and friends of the deceased, Dr. Lawrence Tetteh cautioned celebrities and the youth to worship, love and fear God since no one knows how the are going to end up. “If we can love God, fear God and worship God, he will guide us because we all don’t know what our end will be. If Ebony was told that she will have an accident and die, she would not have believed it. Ebony Reigns died in a motor crash which occurred in late hours of Thursday February 8, 2018 at Bechem in the Brong Ahafo Region along with two others, a military officer and a young lady identified as Franky Kuri who is said to be her personal assistant and best friend. 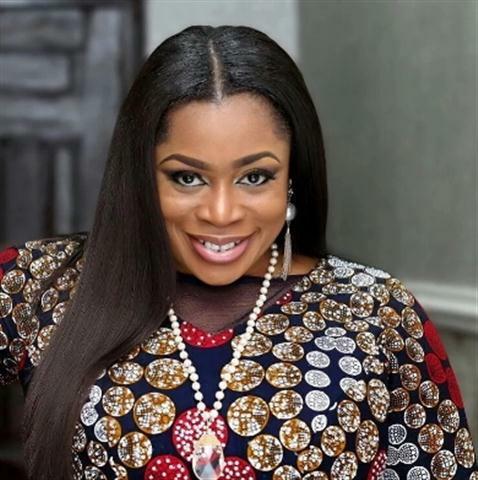 Nigerian Gospel music icon Sinach has been nominated alongside other international Gospel acts in the Jamaican Sterling Gospel Music Awards. 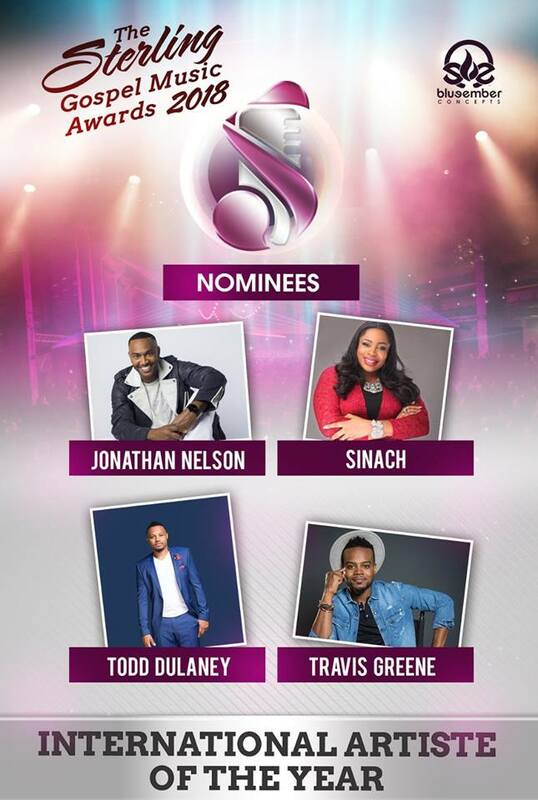 Sinach was nominated in the International artiste of the year category alongside Travis Greene, Todd Dulaney and Jonathan Nelson. Speaking on the nomination, Sinach thanked the organizers of the awards. Sinach is not one to make a big deal out of an award but seems Sterling made quite an impression on her. The Sterling Gospel Music Awards (SGMA) is one of its kind in Jamaica.Founded by Basillia Barnaby-Cuff, who is also the event director, it is designed to highlight the creativity, talent and overall contribution of individuals to the gospel industry in Jamaica. The maiden edition of the award held last year March at The Heritage Hall in Mandeville. This year’s edition promises to be bigger with the event set to hold at Grand Ballroom of Golf View Hotel, Mandeville on the 24th of March, 2018. According to reports, a mystery snake was said to have sneaked into the accounts office of JAMB in Makurdi and ‘stolen’ N36 million cash. A sales clerk, Philomina Chieshe, told JAMB registrar and his team that she could not account for N36 million she made in previous years before the abolition of scratch cards. Philomena denied the allegations that she stole the money but confessed that her housemaid connived with another JAMB staff, Joan Asen, to “spiritually” (through a snake) steal the money from the vault in the account office. JAMB candidates usually purchase scratch cards to gain access to the Board’s website for either registration or for checking their admission status. But new reforms introduced by JAMB registrar, Ishaq Oloyede, who assumed office in 2016, ended the use of scratch cards, replacing it with more efficient and effective platforms. A team of auditors was dispatched to different state offices of JAMB to take inventory of the sold and unsold scratch cards and recover whatever money that might have either been generated or mismanaged during the period of the sale. The spokesperson of the board, Fabian Benjamin, believed there was indeed a case of fraud and criminality in the Benue State office. The question now is, a very huge amount of money went missing and Philomina Chieshe, who is accountable for the fund resulted to superstition to explain the mystery behind the missing fund. Obviously, this cannot in anyway rationalize the law but how many Nigerians are actually gullible enough to believe and get carried away by sentiments such as this? We sometimes are too focus on the enemies and their powers rather than the Spirit that lives inside us and His preeminence. Obviously, Philomina must have felt she stood on good grounds with her explanation before blotting out the ridiculousness, hoping to cajole the enquirers with sentiments. While they were not fooled by it, it reveals the level of decadence religion has locked many minds into. Many feel they are Christian while they worship God like another idol, without a profound knowledge of who He is. They spend their time of fellowship with Him battling enemies, mean-mugging neighbors and their diabolic methods of attacks. Others who tend to know, are driven by different winds of doctrine according to where their emotions drive them. We have also seen various wrong doctrines amongst the Muslim counterparts resulting in political instabilities, religious crisis and terrorism. Knowledge is profitable to direct. No religion can save but a good knowledge through relationship with the One you worship does. If we do, no one will be crippled by beliefs in ancient curses from the father or mother’s lineage, the “enemies” and their power, let alone, a N36m-eating-snake! This is not to stand in oblivion of the forces that exist in the world but to turn our perspective to the greater power that is available to all. 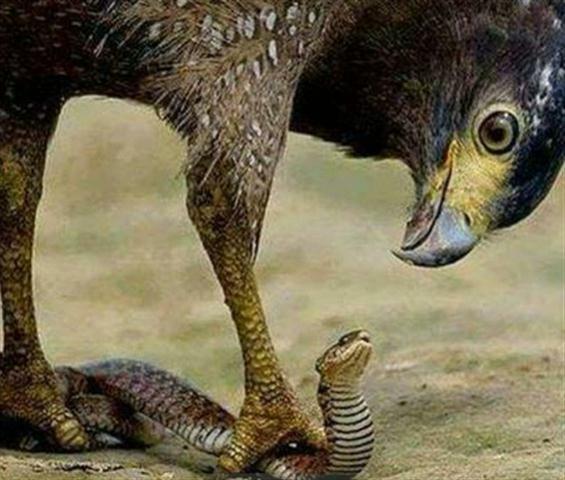 #TheEagle shows no mercy for money-swallowing snake(s). 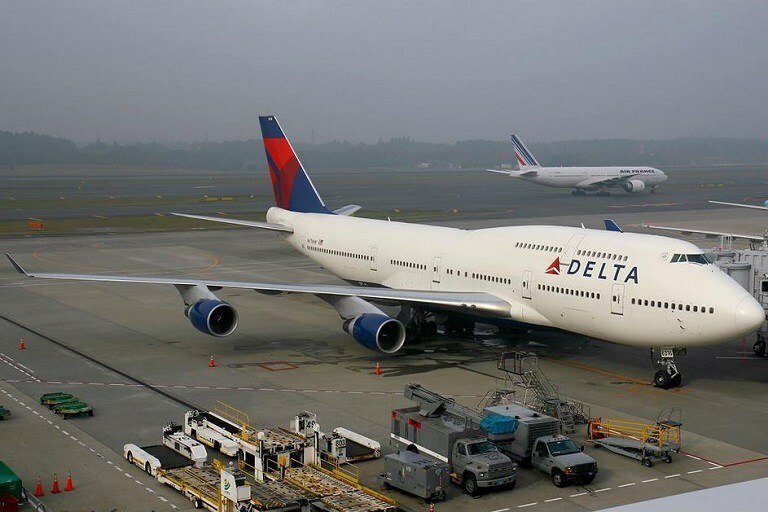 Atlanta-bound Delta Air plane, in the early hours of Wednesday, made emergency landing at the Muritala Muhammed International Airport, Lagos shortly after taking off when the pilot of the plane noticed that the left engine of the aircraft caught fire mid air in-flight. The pilot of the Delta Air flight DL055 (ATL)ETG immediately contacted the control tower at the Lagos Airport to prepare for emergency landing. All emergency aviation officials were immediately contacted and fire fighters placed on standby. After landing successfully, all the passengers aboard were quickly evacuated via the emergency sliding door within few minutes. Meanwhile, the incident led to the closure of the runway as the Delta Aircraft was on the Runway for over 1hour thereby preventing KLM, Lufthansa and Air France already positioned for taking off from departing. The aircraft was later towed with a push back truck to the open parking bay close to Boarding gate E 63. The remaining casualty – free passengers have been taken to a Hotel after the flight was announced canceled and rescheduled for a date yet to be specified and communicated. 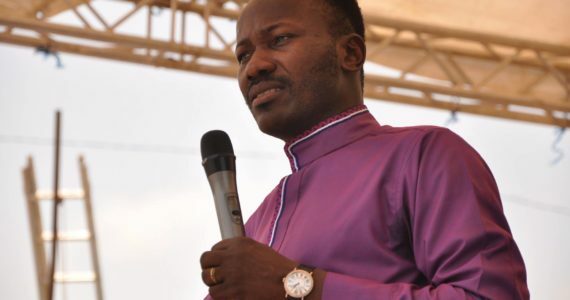 Senior Pastor and General Overseer of Omega Fire Ministries International, Apostle Suleman Johnson while delivering a sermon in his church recently urged Nigerians to pray for the president who is currently receiving treatment abroad. The controversial clergyman who has been in the news lately made this known during a sermon at his church in Edo-state. “It is an irresponsible thing for people to be wishing a president death.” Apostle Suleman said.“Nobody who has a good heart, would be wishing a leader death. You don’t wish your leader death. Nigerians should be careful. Only God has the power of life and death. Stop wishing the President death. If your husband is sick do you wish him death? Do you know that man is somebody’s husband? If your father is sick do you wish him death? That is somebody’s father…and you are wishing him death. I know this thing I am saying now some Christians wouldn’t like it. Stop wishing him death. Pray for his health. Life belongs to God. Don’t wish any leader death. Only an irresponsible country wishes their leader death”. Apostle Johnson Suleman has prophesied that unless Nigerians pray for the country, the 2019 election will not hold. Apostle Suleman has been credited for many precise prophecies made in years past. The self-acclaimed ‘Oracle of God’ is the first pastor in Nigeria that prophesied in a December 2013 prophecy, the crowning of former Central Bank of Nigeria’s governor, Alhaji Lamido Sanusi Lamido, as Emir of Kano. He equally foresaw the death of a serving cabinet member in Nigeria and asked for special prayer during a church service in January 2015. Likewise, during his ministry’s ‘Fire and Miracle Night’ programme in August 2015, the servant of God foretold the trouble in the last Kogi State governorship election that brought in Governor Yahaya Bello and warned of ‘a death’. Also, as Edo State prepared for the September 10th 2016 governorship election, Apostle Suleman at a church service said he did not see the election holding on the appointed date. Subsequently, the INEC shifted the election to September 28 2016, citing security challenges. “I see presidents being removed in Africa and presidents being installed”, the man of God declared in his 2016 prophecies.